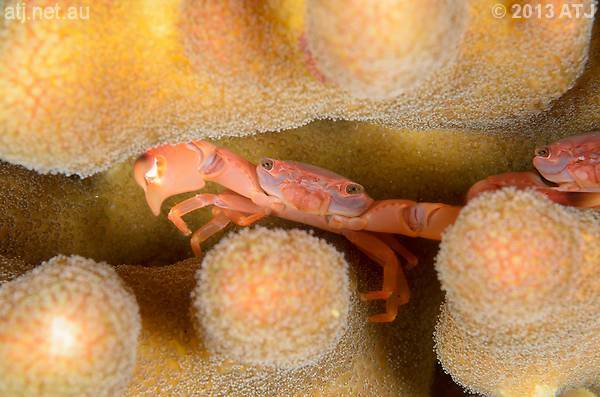 The seventh dive of the Raja Ampat trip in February 2013 on board the S/Y Indo Siren and our first night dive. This had the potential to be a really enjoyable dive but unfortunately my mask was leaking for most of the dive and it was quite frustrating. I'm not sure why it was leaking. It is the same mask I have been using for over 6 months. I thought it might have been the torch I had attached to the mask strap but that has never caused it to leak before and the mask continued to leak after I removed the torch. Fortunately, this was the only dive it leaked. Despite the leaking mask, we saw some cool things. 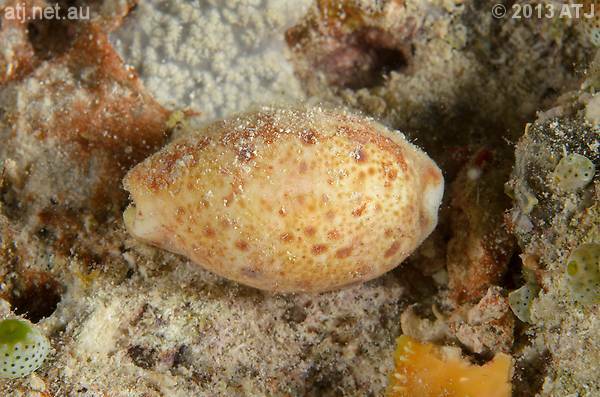 There were lots of crustaceans of various types including a commensal crab on a large sea cucumber. 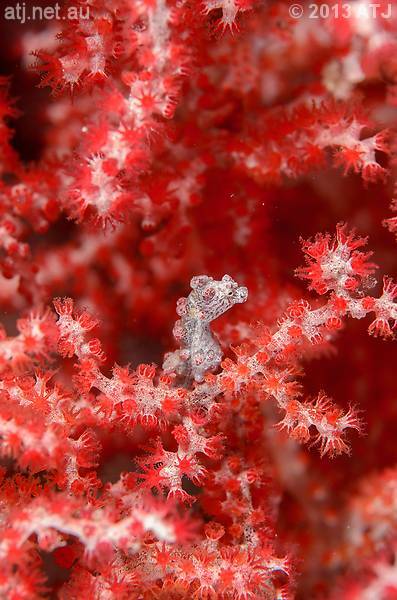 Ongko pointed out a pygmy seahorse in a sea fan. It was interesting to see the pygmy seahorse when the polyps of the fan were fully expanded - I just wish I could have taken some decent shots. At the end of the dive we all saw an epaulette shark. 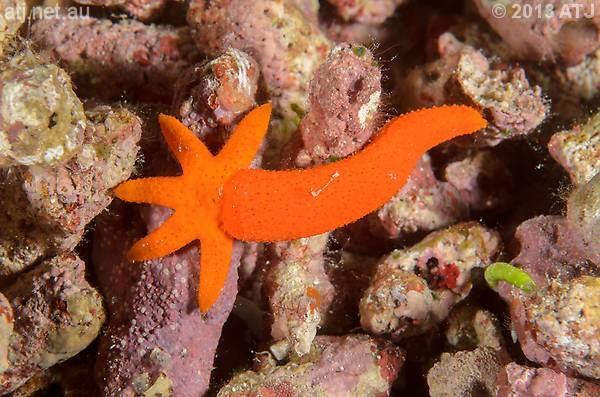 Sea star, Fromia milleporella. 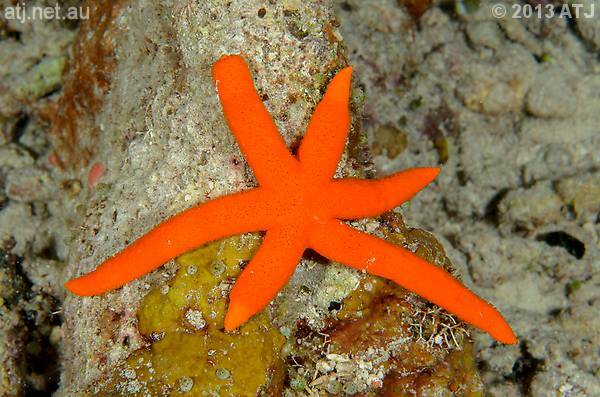 9.4 m.
Sea star, Fromia milleporella. 14.7 m.
Pygmy seahorse, Hippocampus bargibanti. 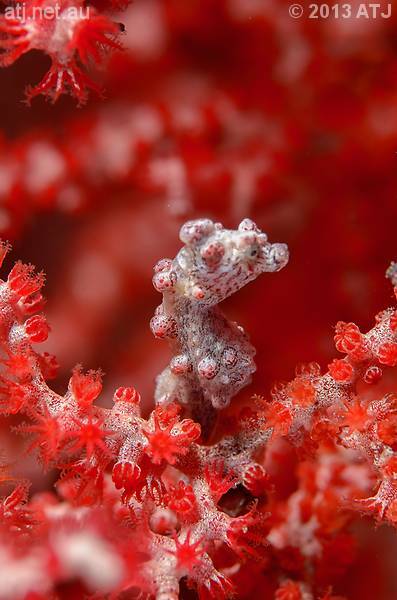 13.4 m.
Pygmy seahorse, Hippocampus bargibanti. 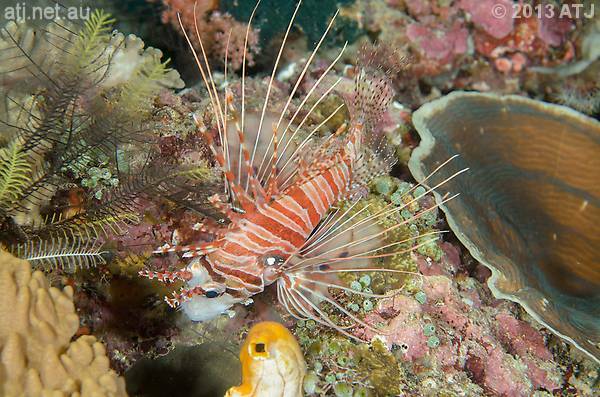 13.5 m.
Spot-fin lionfish, Pterois antennata. 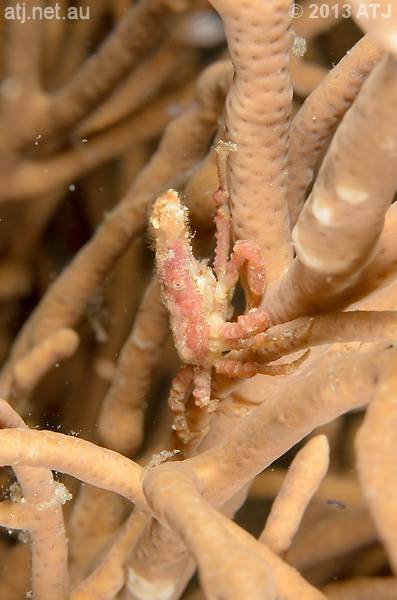 13.4 m.
Commensal crab, Lissocarcinus sp. 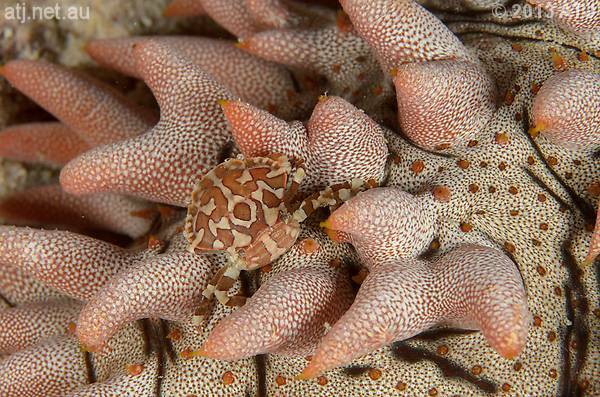 11.4 m.
Commensal crab, Lissocarcinus sp. 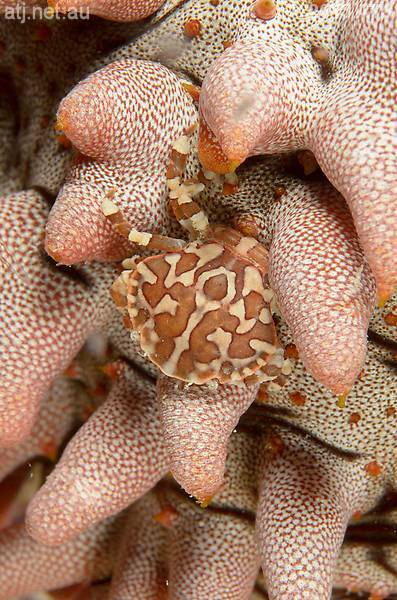 11.3 m.
Coral crab, Trapezia sp. 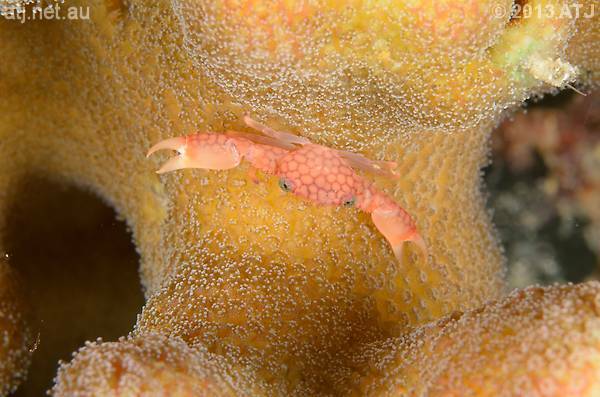 9.7 m.
Coral crab, Trapezia sp. 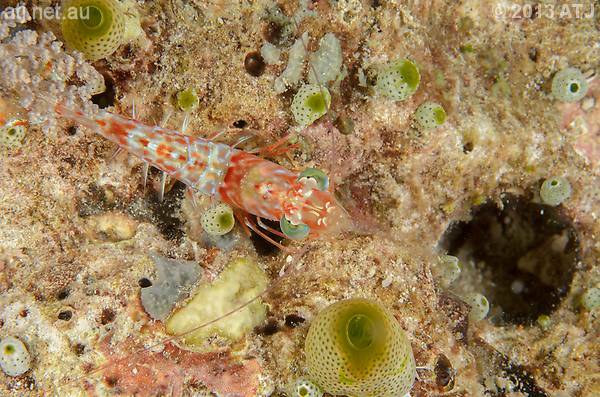 9.6 m.
Hinge-beak shrimp, Rhynchocinetes sp. 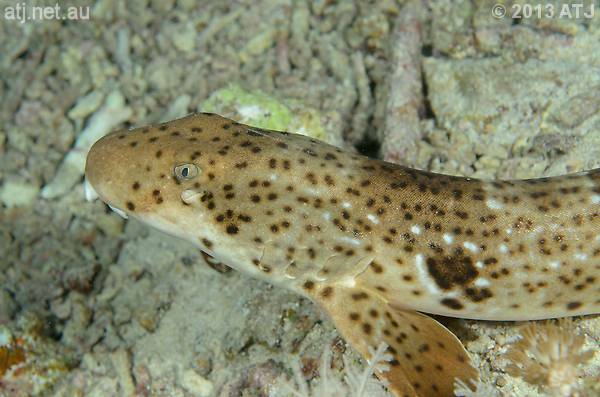 7.3 m.
Epaulette shark, Hemiscyllium ocellatum. 7.1 m.